Upper Division Performing at Disneyland This June! Our Bel Canto and Chantons singers are headed to Southern California for five days of adventure, including a workshop and performance at Disneyland, singing on the beach in San Simeon, and a mini concert at Hearst Castle. We can't wait! 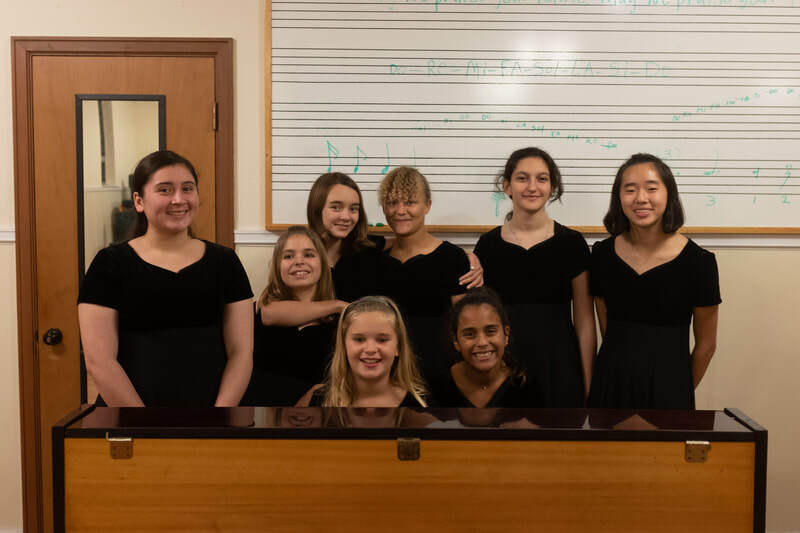 Marin Girls Chorus empowers girls to find and use their voices through exceptional music education and the joy of collaborative singing. By creating an inclusive and diverse environment, we provide a stage for our singers to build confidence, community, and a strong sense of self through practice, performance, and friendships that last a lifetime. ​I have been with MGC since I was a shy 9 year old who would barely open her mouth to sing. Today, I am 16 and have an absolute passion for singing that MGC gave me. I love working at the summer camp each year; it is a great way for kids to continue exploring music through the summer while bonding with others who have the same interest. I have been in the Marin Girls Chorus for five years, and it has had a positive impact on my life. Being able to sing beautiful music with wonderful people who also enjoy singing is truly something special. I love all of the girls who sing in the chorus, and it is a very kind and nurturing community. Being in the Chorus has taught me valuable skills in memorization, let me connect with people that I ordinarily would not have met, given me great opportunities for travel and learning, and many other things I am sure I haven't thought of. There is a feeling of love and support in the chorus that is like being in a family. The chorus is an amazing community that I am glad to be a part of. I have been in the chorus for 4 years. My favorite thing about the chorus is that every semester we sing new songs with the students and the wonderful teachers. Singing in the chorus is an important part of my life. Singing makes me feel peaceful and joyful; it makes me find myself. One of the most important things is that it has been helping me be more confident about myself. Chorus has given me the opportunity to have something else in common with my little sister and be able to share the stage and be closer to her. We are singing all the time, everywhere we go. ​My favorite thing about the Marin Girls Chorus is that everyone is so friendly and understanding. That's what really made the New York trip so great! It was amazing to be on stage at Carnegie Hall with many friends. I love the music that we sing and the people that sing with me! I have been a part of the Marin Girls chorus for 4 years. 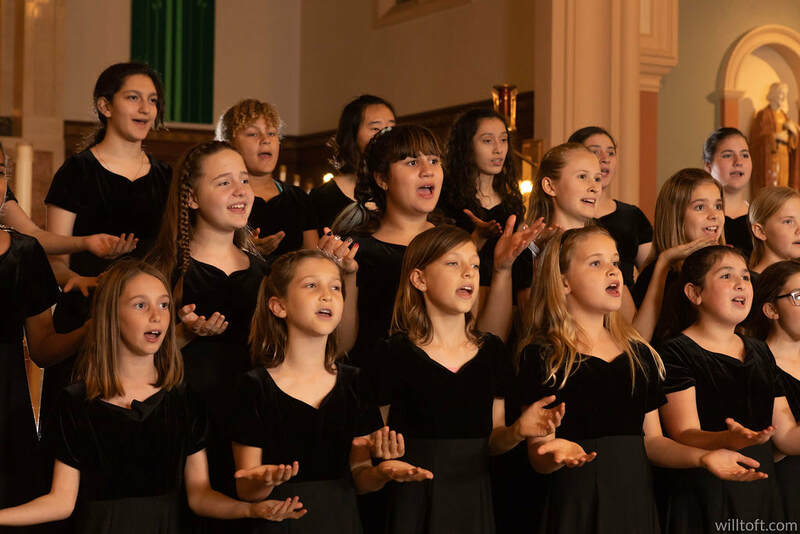 The Marin Girls chorus has helped me meet many new people and have so many outstanding experiences that I would not have had if I was not part of this chorus. Having the opportunity to be part of the Golden Gate International Choral Festival was incredible. Singing with hundreds of different singers from around the world was an amazing experience I will never forget. 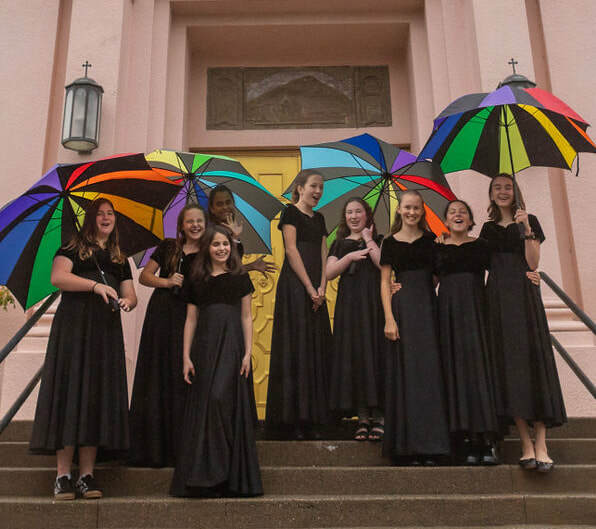 The Marin Girls Chorus has also helped me grow in my knowledge of different music styles and music theory. © COPYRIGHT 2019 MARIN GIRLS CHORUS ALL RIGHTS RESERVED.